One of my holy grail beauty products is the beautifully packaged, Wild Rose Beauty Balm by Neal’s Yard Remedies*. This indulgent balm has become one of my all-time favourite skincare treatments. The once limited edition illustrations by British designer, Alice Shields, can now be found permanently adorning the sides of the box which includes a tips booklet, organic muslin cloth and small blue glass jar filled with the floral scented, cruelty-free, yellow balm. 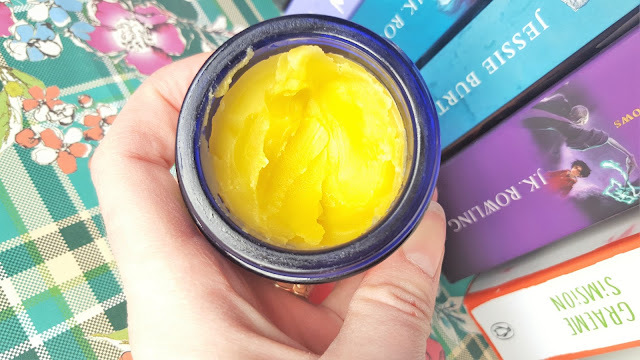 I was first made aware of the Neal’s Yard Remedies (NYR) skincare collection by a review on one of my favourite blogs, Tattooed Tealady. NYR opened their doors in 1981 in Neal’s Yard, a corner of Covet Garden in the heart of central London. They hold the passionate belief that beauty should be natural, ethical and organic, not synthetic. They believe that the customer has a right to know what goes into the products they buy. For over 30 years NYR has created a range award-winning natural remedies that combine their expertise of the apothecary and holistic approach to health and beauty. 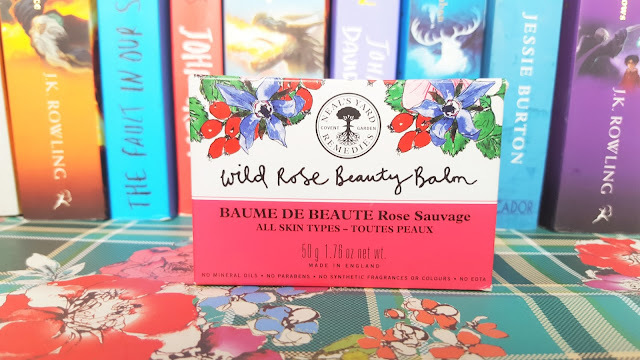 The Wild Rose Beauty Balm smells like walking through a rose garden in the height of Summer and contains; wild rosehip oil (one of the richest sources of vitamins, essential fatty acids and antioxidants), geranium, starflower, hemp and rosemary oil. Suitable for all skin types this multipurpose balm can be used as a rich cleanser, gentle exfoliant or deeply nourishing moisturiser. It can be applied to dry skin to nourish dehydrated areas of the face and body, it can be used to cleanse the skin, exfoliate when used in partnership with a muslin cloth and as a overnight intensive treatment. I love to smother my skin with the balm, gently massaging it in and leaving for a few minutes to penetrate the skin underneath. I then wipe away the balm with my muslin cloth, dampened in hot water, in circular motions to remove every last trace of makeup, dirt and grime. At £38/50g this, for me, is skincare as it’s most luxurious. The size of the jar may have you questioning your sanity, however, as it’s a highly concentrated balm only a small amount is needed so this little jar may last you longer than you first anticipate. After every use I feel like I’ve just had a mini facial. It nourishes my skin leaving it glowing, it soothes angry breakouts, it dehydrates even the driest of patches; it is one of the most versatile skincare products I have ever used. I’ve even found myself rubbing it into my chapped lips, dry hands, shaving rashes and stretch marks from time to time. 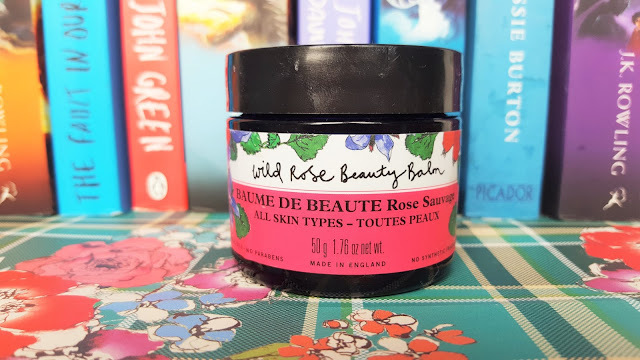 I was cynical at first, but I honestly believe the Wild Rose Beauty Balm is worth it’s hefty price tag and extremely deserving of it’s vast collection of awards. This multi-purpose, natural remedy simply does it all. 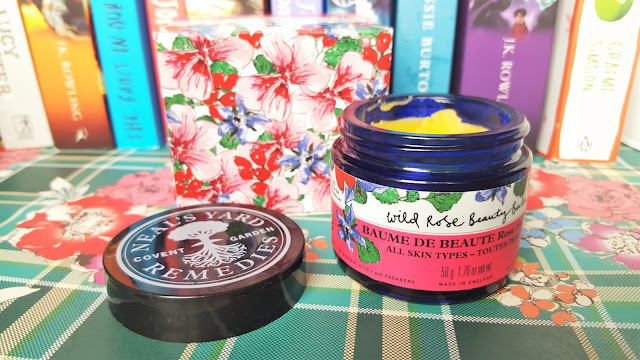 The Neal’s Yard Remedies Wild Rose Beauty Balm retails for £38/50g and is available here. Have you tried any products from Neal’s Yard Remedies? "Pregnancy | Shopping for Baby"
"The Natural World Coconut Water Collection"